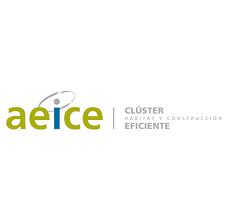 AEICE has actively participated in the Ibero-American Conference on the Sustainable Development Goals, held in Salamanca on June 27, 28 and 29. The so-called SDGs are included in the 2030 Agenda approved by the United Nations in September 2015, and address the greatest challenges facing the planet from all points of view: social, environmental and economic. Among the objectives which are most directly related to our sector are those of sustainable cities and communities, affordable and clean energy, and resilient infrastructures. AEICE has been present at this summit in line with its new strategic plan, which already includes the commitment to the SDGs and the actions that will be undertaken in the coming years. The Conference was opened by the Ibero-American General Secretariat of the United Nations, Rebeca Grynspan, and was closed by the Secretary of State for International Cooperation and for Ibero-America and the Caribbean, Juan Pablo de Laiglesia and González de Peredo. Throughout four plenary sessions and dozens of parallel interactive sessions, we have listened to and debated with experts in environment and energy, innovation, education and alliances from all around the world. In these sessions, where cities played a leading role, the importance of rehabilitating and regenerating urban areas, NZEB, inclusive and respectful environments, innovation and establishment of strategic alliances in defense of the SDGs was emphasized.